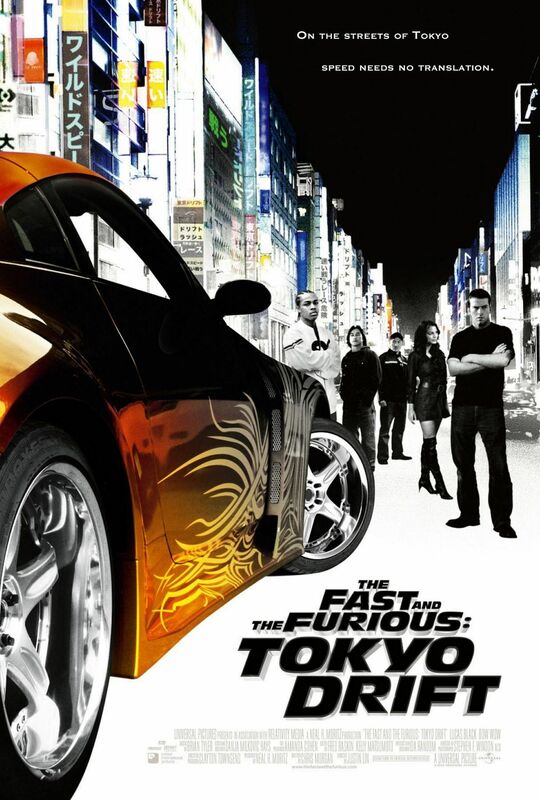 The Fast and the Furious: Tokyo Drift – Speed needs no translation. This is the third installment of the series but our regular cast did not show up for this one (Not Including Final Scene). Sean Boswell (Black) moves from town to town because he keeps getting in trouble and it usually involves car racing. I always love it in movies where an eighteen year old completely destroys a vehicle but has the funds to be driving another vehicle within a week. Another race, more trouble, Sean gets sent to Tokyo to live with his father. Sean immediately gets in the face of some clown named D.K. (Tee). He has no money and no car but Han (Kang) throws him his keys and says “hey use my car to race”. His first race was more a demolition derby but Han doesn’t mind. More contrived races, bad dialogue, stupid characters (sadly Han was one of the better characters just not smart with his money) and yes one all around poor movie. The worst of the franchise but I have only watched the first three. If you liked this try: Gone in Sixty Seconds, Rush, The Italian Job.